THE governments of Pakistan and India seem to not realise that, in international law, it is incumbent on them to freely grant visas and facilities to the neighbouring countries’ nationals who wish to make religious pilgrimage to shrines and places of worship. Granting these is not a matter of discretion, but a legal obligation under a binding treaty. Coupled with this, of course, is a legal and moral obligation to protect, preserve and maintain the places of worship. There subsists a binding agreement between these two countries on this subject that they would do well to remember when playing their silly games on visas. It is in both countries’ interest to actively promote such bilateral ties. This solemn duty was shamelessly violated in the demolition of the Babri Masjid in December 1992. And the culprits have escaped punishment. The Central Bureau of Investigation immediately filed two criminal cases. On Aug 27, 1994, a special magistrate and on Sept 9, 1997, a sessions judge found that a prima facie case of conspiracy to demolish the masjid did exist against L.K. Advani and other leaders. Charges were framed. The proceedings are still on; the accused are at large. Paragraph 2 of the accord concerns grant of visas. It promises: “increased facilities for visits to places of worship in both countries should be granted to pilgrims on their auspicious days; the Sewadars and Khadims at such places of worship should be granted facilities for residence and adequate protection.” This necessity implies grant of visas and more (“facilities for visitors to places of worship”). The two sides also discussed a proposal regarding “the appointment of a joint commission of the representatives of the two governments for enquiring into [these] matters ... and making a factual survey about the condition of the important shrines and holy places after visiting them and making recommendations in the light of such enquiries and survey.” Its consideration was deferred. Though the accord was embodied in the form of minutes of the meeting, it nonetheless constitutes in law a binding treaty. Article 2(1)(a) of the Vienna Convention on the Law of Treaties (1980) states clearly that ‘treaty’ means “an international agreement concluded between states in written form and governed by international law, whether embodied in a single instrument or in two or more related instruments and whatever its particular designation”. Thus an agreement embodied in an exchange of letters or the minutes of a meeting will constitute a binding treaty in international law with all the attendant consequences of its breach. It has not been denounced or terminated or suspended. It cannot be, either. Article 56 contains precise provisions for a withdrawal or denunciation of a treaty. Article 27 is explicit “a party may not invoke the provisions of its internal law as justification for its failure to perform a treaty”. The 1980 convention supercedes the Simla Agreement with its insistence on ‘bilateralism’. It is open to a party to invoke the provisions in the annexe for appointment of a conciliation commission by the UN secretary-general if a dispute arises. Or, it can move the International Court of Justice at The Hague. Must we descend to this? The law apart, it is in the national interest of India as well as Pakistan to actively promote religious tourisms. India is rich in historic shrines — and so is Pakis­tan. 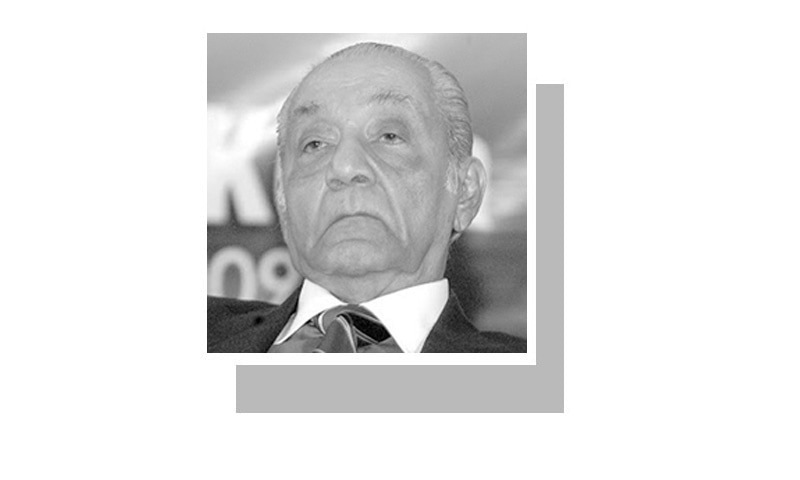 The prince of Muslim saints, Khawaja Moin­uddin Chishti, or Gharib Nawaz (patron of the poor) is revered by all regardless of the religious divide. Must pilgrimage to his dargah in Ajmer depend on the politics of the regime of the day? This is precisely where the treaty of 1953 comes in. The same applies to the dargah of Hazrat Nizamuddin Aulia in Delhi, and to the grand Hindu temples in South India. Delhi is studded with ancient dargahs. Recently, distinguished Pakistani academics have written of Hindu and Sikh shrines in Pakistan, Reema Abbasi being one of them. These treasures are part of each country’s ‘soft power’. It is demeaning to make pilgrimages to them hostage to diplomatic hostilities. On Dec 23, a senior officer of the government of India said that India will invite Pakistan to discuss the blueprint of the Kartarpur corridor, which it has finalised. The talks are necessary; but the remit is limited. India and Pakistan must make amends for their restrictive visa polices and reaffirm the 1953 agreement. There is no such international law, to grant visa to neighboring country or any country for religious pilgrimage. In the name of religious pilgrimage, the intentions of pilgrim/visitor, might be something, as you cant read the brain. Pakistani visitors or pilgrims have to get clearance certification from Ministry of External Affairs, to get Indian Visa. Religious tourism may be in the interest of both countries but security trumps all other things. You are telling this to a lawyer and an expert in international law? The writer makes it clear with reference to Vienna Convention on the Law of Treaties (1980). You need to turn off your denial mode! By his logic, Pakistan Cricket Board should have been awarded compensation against the Board of Control for Cricket in India - BCCI and we all know PCB lost his case to BCCI. I think PCB should hire A.G.Noorani as a lawyer and take BCCI to International Court of Justice to enforce the MOU signed between India and Pakistan Cricket Board. A wonderful article sir. I did not knew about the 53 treaty, like most people. @Zak, in a long time you have posted something that makes sense. I am proud of you.